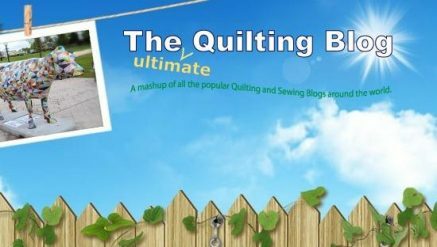 YES, it’s an AWESOME quilting blog, but wait!…it’s also a weekly bulletin, a monthly newsletter, and a quarterly e-magazine focused on the love and art of making quilts. Best of all, it’s ALL FREE from the publishers of A Needle Pulling Thread Magazine. Hello, my name is Jennifer Houlden. I am Canadian, a nurse by profession and live with my husband and 3 animals in the magnificent Ontario township of Oro-Medonte. I am extremely passionate about quilting, teaching and designing. One day, long after the first quilt I had made for my niece at the age of 12, I was reintroduced to quilt making. A new shop had opened up in Yellowknife, NT, Canada and I decided I was going to learn how to quilt. 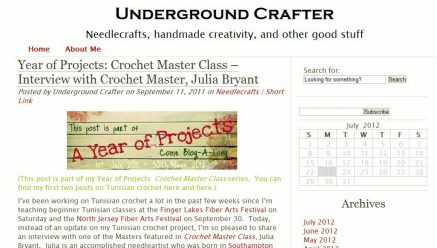 Marie Segares, Proprietress of the Underground Crafter, has been crocheting for over 27 years. She learned to crochet during summers spent with her maternal grandmother. Marie is also a knitter, quilter, embroiderer, and soapmaker. I am a quiltmaker and pattern designer with a special interest in Memory quilts. 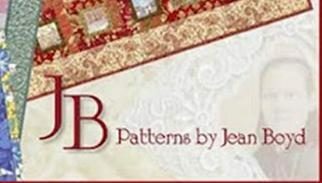 I have been designing patterns for 12 years. My pattern range includes designs for Memory quilts, Traditional quilts, Redwork and Stitchery. 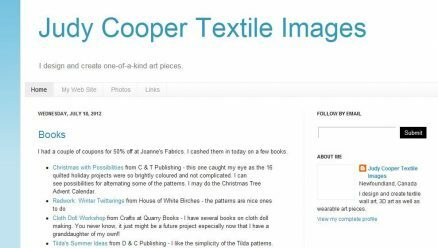 Christine is a quilter, quilt pattern designer, punchneedle pattern designer & author. 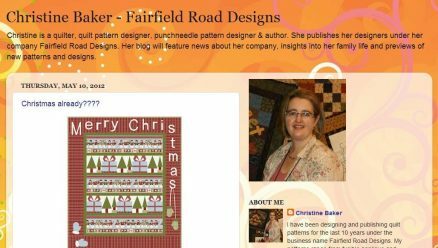 She publishes her designers under her company Fairfield Road Designs. 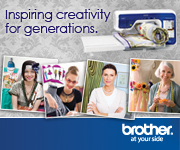 Her blog will feature news about her company, insights into her family life and previews of new patterns and designs. 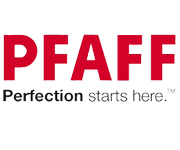 A Designer's Musings on Creativity & A Forum to Share the Inspiration ..... 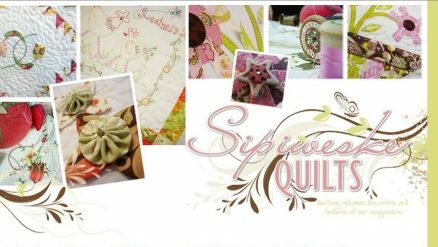 Whether in Silk Ribbon, Crazy Quilting or Beading ............................ With a Bit of "What Ever" Tossed in for Good Measure! All good stuff. But how to translate it to fabric. Yes I could quilt in these types of lines ...even vary the thickness.But it occurs to me looking at these, that there are a multitude of fabrics with similar linear patterns. I'm going to try an image by combining linear patterns and see what happens.